On his first weekend in a front-wheel drive touring car, Rob Austin took opening honours in Dunlop’s 2016 #ForeverForward contest, by gaining a total of 19 positions across the course of the three Dunlop MSA British Touring Car Championship races at Brands Hatch. Overtaking is always something of a skill around Brands’ short 1.2-mile Indy Circuit, but Austin made short work of many of his rivals in race two as he scythed through the field from 30th to finish 14th. The three additional spots he improved in the finale earned the Handy Motorsport ace the highest #ForeverForward score of the record-breaking 32 contenders in Kent. Rob Collard and Josh Cook were Austin’s closest challengers, each advancing 16 places on Sunday, although the former’s collision with Tom Ingram as the pair disputed the lead of race two arguably cost the BMW man a shot at #ForeverForward glory. On his maiden outing for MG Racing RCIB Insurance, Cook impressed in race three by vaulting from 29th on the starting grid to 14th at the chequered flag. Dan Welch, meanwhile, enjoyed a much stronger start to the season than of late behind the wheel of his new Proton as he annexed points in two of the three encounters. 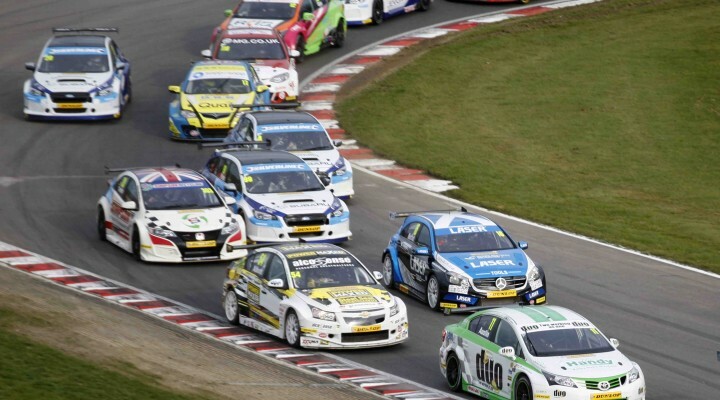 Other major movers over the weekend included Power Maxed Racing’s Hunter Abbott and Team BMR Subaru’s Warren Scott in race two – the latter making his competitive debut in the new Levorg having missed the opener – as well as Speedworks Motorsport’s Ingram with a stirring race three recovery. Amongst the contenders for overtake of the weekend, finally, was Andrew Jordan’s move on Motorbase Performance team-mate Mat Jackson in race two, as the two Ford Focuses ran flat-out and side-by-side down the main straight in close proximity to the pit wall. The #ForeverForward leaderboard is below, with one point attributed for every position gained. Points are not removed if places are lost.